It is that time of the year when everyone needs a break. Want to take a trip out to the Mediterranean Sea but on a tight budget? Well, save your money because Vancouver is the kind of place that offers a bit of every culture. Here’s a list of restaurants that will make you feel like you’re on vacation. Whether Europe, Asia, or Oceania, we’ve got you covered. Want traditional Brazilian food in East Vancouver? Look no further than Boteco Brasil. Get a taste of these authentic eats and you might just be lucky enough to be at this spot when there’s live music. The moment you step into the restaurant, you’ll forget that you are between West and East Hastings in Vancouver. The decor there is beautiful and gives an exquisite Moroccan vibe. The restaurant uses traditional Moroccan tagines for cooking, and the pots are beautiful even just to look at. All its meat is halal, as well as hormone and antibiotic-free, and the restaurant also offers vegan and pescatarian dishes. Located on the vibrant Commercial Drive, Havana is inspired by the flavours, colours, and culture of old Havana, Cuba. You can expect a hybrid of authentic Cuban cuisine combined with Pacific Northwest style, and you should also check out its theatre at the back of the restaurant. It features tropical music, comedy, and dance, and it is the perfect spot to sip on some mojitos and sangria. Au Comptoir, which translates to ‘at the counter,’ is a popular Parisian café culture with a fun and lively atmosphere. Whether drinking a cappuccino, sipping on a glass of wine, or devouring some delicious French pastry, Au Comptoir is the place to be if you want to feel like you’re on vacation in Paris. At the Waldorf is a multi-venue complex, and the Tiki Bar there is one of the most popular venues. Its retro and Polynesian decor creates a unique vibe that will take you back in time. 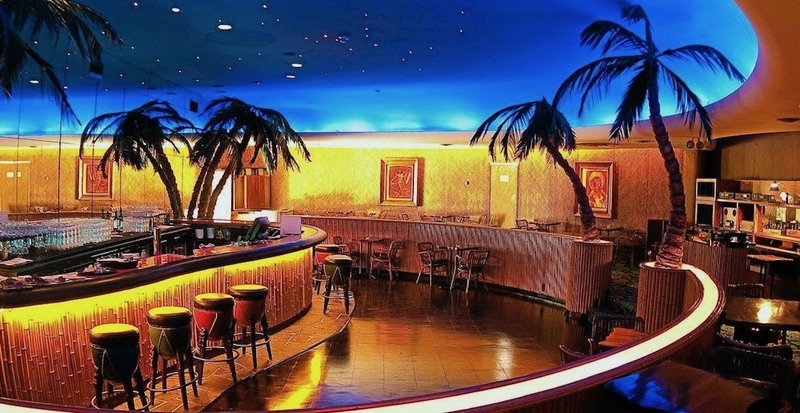 The bar has been a Vancouver favourite with its plaster palm trees and bamboo-lined walls, and after a few drinks, you’ll be dancing the night away Polynesian-style. As soon as you walk into La Casita, you’ll feel like you’re on vacation in one of the touristy Mexican cities. The little restaurant in Gastown has a modern vibe going with its bright walls and authentic Mexican decor. It serves authentic Mexican food and drinks, including a Super Margherita that is bigger than the size of your head. The Reef is a Caribbean restaurant offering a casual atmosphere with vibrant colours, tropical plants, and kitschy signs. Come uncover the edible treasure of the tropics with its eclectic Caribbean fare and drinks, and the fun music here will make you want to dance with a drink in your hand. Moose’s Down Under is located in the heart of downtown Vancouver and does everything Aussie style. It is THE place to come for Aussie sport in Vancouver, and the Aussie accents and beers there will bring your soul straight to Sydney. Mates, it is time to familiarize yourself with some Kangaroo burger, Aussie Tucker, and Oz Fries. The popular chain restaurant in China recently opened its first overseas location in Vancouver. Determined to bring authentically flavoured Beijing Duck to Vancouver, all chefs at Old Beijing Roast Duck are sent to its location in Beijing to study. Not only is the restaurant decorated in a traditional Chinese style, but it also offers weekly performances incorporated with traditional Chinese arts.